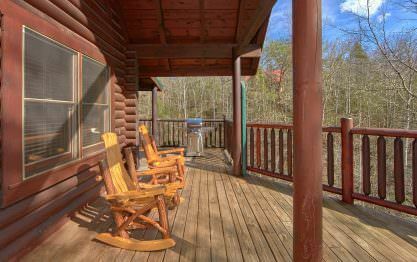 Save 25% on this cabin for midweek stays between Sunday and Friday in January, February, up to March 21st and May through May 21st. Use promo code MW2019 when booking. How can you possibly keep everyone happy? - in Blackjack - that's how! A 3 bedroom with 3 full baths and Theater Room. This signature Heritage Log Home Plan features three levels of living and sleeping space meeting a variety of needs and expectations. 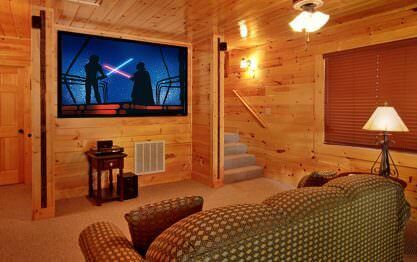 Enjoy a movie on your 9 foot theater screen HD projector and surround sound. Enter on the main level to find a fully equipped stainless steel kitchen with a dining table that seats 6 guests and a breakfast bar that comfortably seats 4 guests. Enjoy the natural gas fireplace in the two story living area - note the vaulted ceilings and fireplace with 2 story stone chimney. The first floor master suite features king sized bed, sitting chair and adjoining bathroom with stand up shower and jacuzzi tub. The second floor features a second beautiful master suite with an attached full bath - tub/shower combination - also elegantly furnished with a king bed too. 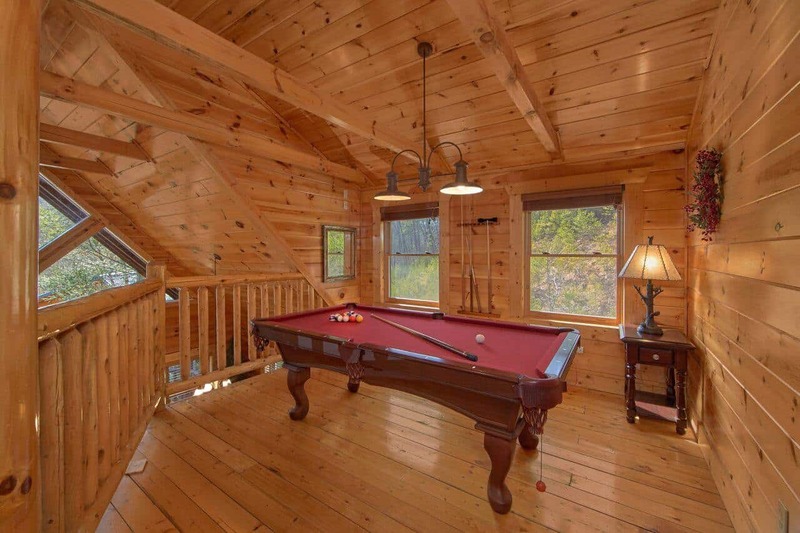 Shoot a game of pool in the loft retreat just outside the master suite. 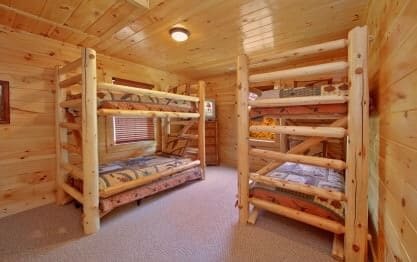 The lower level is where you will find the kids - two twin bunk beds plus a full bath with tub/shower combination becomes a private safe haven for the younger generation! Wow - a nine foot theater screen and projector with surround sound will be the place to "crash"! A full wet bar and queen sleeper sofa finish out the lower level. Now take a peak outside - 2 large covered decks where you can relax and enjoy yourself at Elk Springs Resort. With your gas grill, dinner can be served easily and quickly for your crowd. 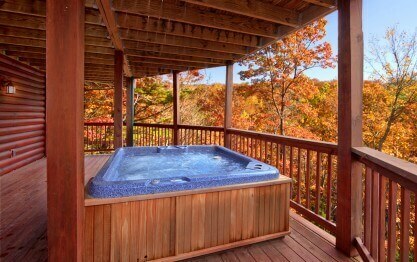 Oh by the way, the hot tub is just waiting for you! Good news - Blackjack is also pet friendly. Lucky you in Blackjack - it's a win! Home Theater System - 9 Foot Theater Screen with Surround Sound (Be sure to bring your own DVD's or you can rent at the nearby redbox). Loved staying here with my family. Beautiful spacious fun place to stay! Thank you for your wonderful review, Dawn! We are delighted to hear your stay was exceptional. We certainly agree! Blackjack is the perfect cabin to relax and enjoy quality family time. We enjoyed having you as our guest and hope you will consider staying with us again in the future. Remember, as a repeat visitor you will save 10% on future stays. Thank you! Have been vacationing in Gatlinburg for 20 years. Highly recommend Elk Springs. Rental agency was great to work with and received check-in code prior to our arrival. Cabin description was accurate, …clean and well maintained. Will be booking with Elk Springs again next year. Thank you for making our family vacation memorable. It was truly our pleasure to provide you with a 5-star getaway, Dennis! We strive to be the best in the business, and we want nothing more than our guests to feel as though they have a home away from home while in our area. We enjoyed having you and your family as our guests and we look forward to your visit next year! Don't forget to mention you are a returning customer to receive 10% off your next booking. See you soon! It was nice to not have a direct view of other cabins from any direction. Far enough away from everything to really be away and close enough to be in downtown Gatlinburg. Thank you for your kind review, Nathan! We are happy to hear you enjoyed your stay. It sounds like you chose the perfect cabin! We enjoyed having you as our guest and hope you will consider staying with us again during your next visit to Gatlinburg. Impressed with the cleanliness of the property. Thank you for your kind review, Suresh! We are happy to hear you enjoyed your stay. We enjoyed having you as our guest and hope you will visit again soon! "My stay at the Elk!" The rental experience was seamless and awesome. I had recently stay at a cabin at Elk Spring for Valentines Day weekend. I took lots of pictures are showed my family upon my return. Little did I know …I would be making another reservation in less than 2 months simply because of such a great time I had there. The cabin was extremely clean. We enjoyed the Jacuzzi and my favorite part was the kitchen and cooking. Because of the awesome time my family had we are all going to make this a yearly event. Thank you for taking the time to share your wonderful experience, Travais! We love to hear that you enjoyed your stay so much. We enjoyed having you as our guest and would consider it an honor for you to stay with us again. Please make sure to mention at the time of booking that you have stayed with us previously to receive your 10% returning guest discount. Hurry back, new memories are waiting to be made! Thank you for your 5-Star review, Lance! We are delighted to hear you had an exceptional stay. We enjoyed having you as our guest and hope you will make plans to visit us again soon! Black jack is an awesome cabin. It?s bigger than we expected and would be comfortable with a family or two as well. We liked that the main bedroom was on the main floor. The fireplace was so relaxing …while watching movies too! Elk springs resort is a great resort that takes care of their customers and truly cares that your stay is satisfactory. Thanks we will be back! Thank you for your fantastic 5 star review, Scott! We are delighted that you had such a great cabin stay! Blackjack is a great cabin to relax and enjoy some time away from the hustle and bustle of everyday life. Customer service is very important to us and we are pleased to hear our staff have met your expectations. We look forward to serving you again in the near future. Please keep in mind, as repeat customers you will enjoy 10% off all future bookings! Hurry back, new adventure awaits. We are so glad to hear you enjoyed your stay in Blackjack, Michael! We hope you are already planning your next visit. Hurry back, new memories are waiting to be made! "What a wonderful Cabin. " Elk springs resort was amazing. So easy to work with. The cabin was perfect. I loved how clean everything was. Thank you for your 5-Star review, Jami! We are excited to hear your stay was exceptional. Our goal is to provide the perfect location to relax and create special memories together. We hope you will consider staying with us again during your next visit to Gatlinburg. Please keep in mind, as a returning guest you will enjoy 10% off all future stays. Thank you for your 5-Star review, John! We are delighted to hear your stay was exceptional. We enjoyed having you as our guest and hope you will consider staying with us again during your next visit to Gatlinburg. Please keep in mind, as a returning guest you will enjoy 10% off all future stays. We are pleased that you were able to host a bachelor party here with Elk Springs Resort. We are also very pleased that you kept your celebration to a minimum without disturbing other guests. We appreciate your feedback and hope you will return with your friends and families for many years to come! My family of five and our dog has a wonderful stay at Blackjack. The cabin and surrounding were extremely clean and well-kept. It's a quick drive to Gatlinburg, but Pigeon Forge is a little trickier to get to. We will be back! Thank you for your kind words, David! We are elated to hear your stay was exceptional. 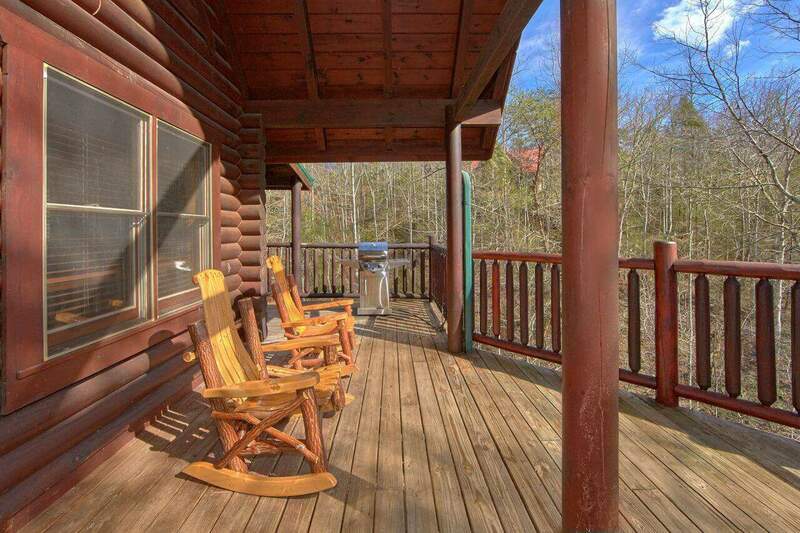 Blackjack is the perfect cabin to relax and enjoy quality time as a family. 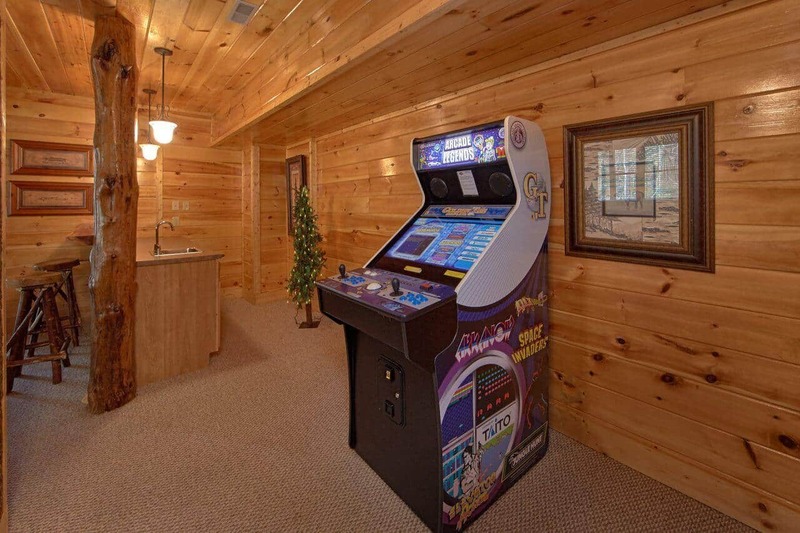 This cabin has something for everyone. We enjoyed having you as our guest and hope you will visit often. Please keep in mind, as a returning guest you will enjoy 10% off all future stays. Hurry back, new memories are waiting to be made! "Wonderful time had by all! " Great! We have been coming to Elk Springs Resorts for the last five years and have stayed in Blackjack. We love coming their during Christmas. It has become a tradition! Thank you for your kind words! We consider it an honor to be a part of your family's Christmas tradition. We enjoyed having you as our guest and look forward to your next visit! Thank you for allowing us to be a part of your special anniversary celebration! We enjoyed having you as our guest and hope you will consider staying with us again during your next trip to Gatlinburg. Hurry back, new memories are waiting to be made! 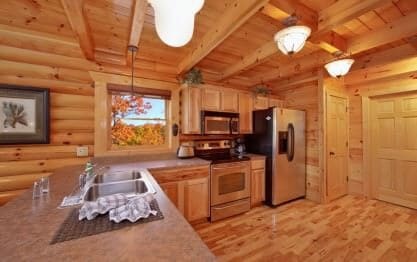 "Great cabin and excellent customer service"
We stayed 6 days with another family in the Blackjack cabin and the layout and size of the unit was perfect. On day two we had an issue with a clogged drain and called the property management. They …came out within an hour and fixed the issue while we headed out in an adventure. We also liked the Elk Springs location and frequently took our dogs for walks through the neighborhood. Traffic was minimal and we greatly enjoyed the peace and quiet. We will definitely rent from Elk Springs again. Thank you for your 5-Star review, Jeremy! We are happy to hear your stay was exceptional. We enjoyed having you as our guest and hope you will make plans to stay with us again! We are thrilled to hear you and your family had an exceptional stay, Jason! We hope you will make plans to come back and visit with us again as often as you can. Please keep in mind, as a returning guest you will enjoy 10% off all future stays. We hope to see you soon! This was a Family Vacation that was one of the best that we have had. The location is perfect. You are a short distance from Gatlinburg and also from Pigeon Forge. We played Golf, horseback riding, Dr…ove ATV's on wooden trails, and visited many of the local establishments (not big on Chain Restaurants). Also a big hit was the streams in the Smokey Mountain Park. We all wish we would have stayed at least one more day. Thanks Again for the great fun and stay in Blackjack! Thank you for your kind review, Chris! We are happy to hear your stay was exceptional. We enjoyed having you as our guest and hope you will make plans to stay with us again! "Blackjack Review by the Wilts"
Thank you for your 5-Star review, Steve! We love to hear that you and your family had such a great time at Blackjack. We hope you will consider making Elk Springs Resort a part of a new tradition when visiting our beautiful Great Smoky Mountains. Come back and see us soon! Thank you for your 5-Star review! We strive to ensure that each stay with us is exceptional. It sounds like we succeeded! Please contact us when you are ready to start planning your next get-away. We would love to have you come back and see us as often as you can. Blackjack was great! Very Clean when we arrived. Loved all the amenities! The staff at Elk Springs Resort could not have been nicer-answers emails/retrains calls very promptly. 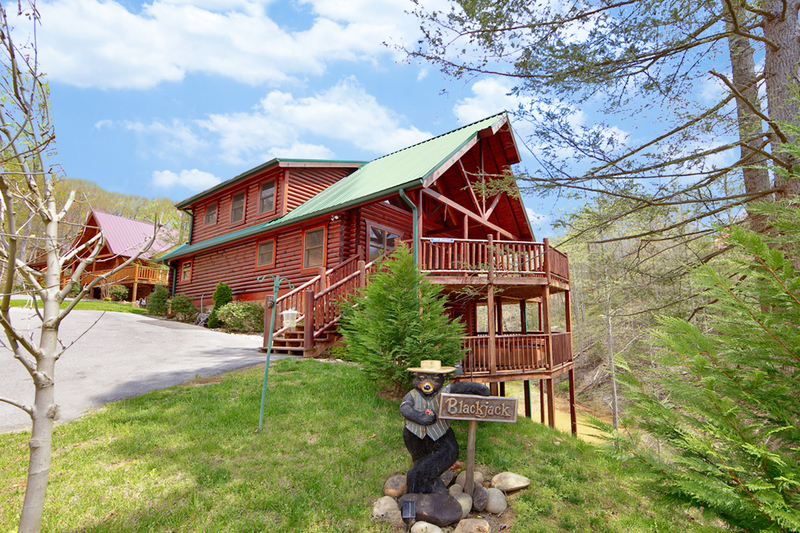 The cabin was a great l…ocation-not too far away from the Gatinburg area, but far enough to feel that you're somewhat secluded. My family enjoyed the trip so much, we're already planning a return trip! Thanks again for the great service! Thank you for sharing your experience with us, Dana! We are happy to hear you were able to enjoy so many of the amenities offered at the cabin. We believe in treating our guests as we ourselves wish to be treated. You, as our guest, are our top priority. We hope you will take the opportunity to come back and see us as often as you can. My family and I enjoyed our stay at Blackjack Cabin very much. The cabin was big and beautiful, even better than the pictures. We had a wonderful time, everyone was very nice. We had one small problem… with the water dispensing from the refrigerator and the problem was immediately addressed and fixed. We couldn't have asked for a better time and definitely look forward to more visits in the future. Thank you Elk Springs! Thank you for your 5-Star review, Daniel! 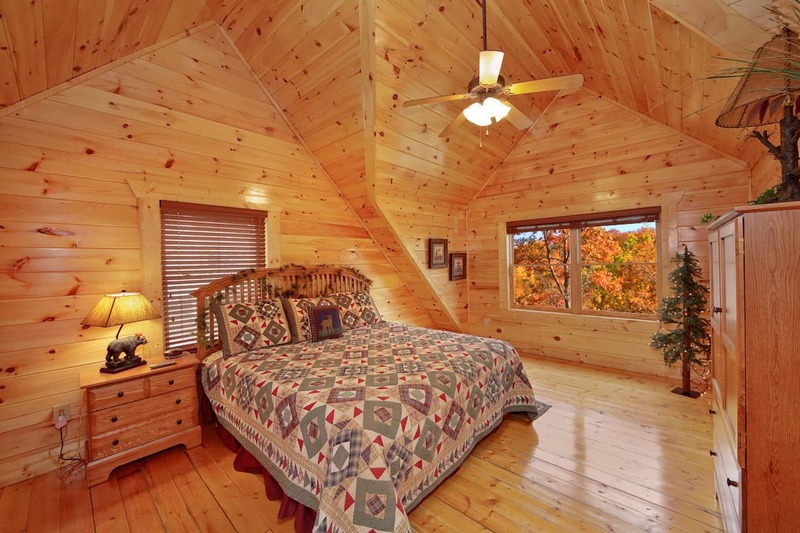 The pictures certainly do not reflect the true beauty of this cabin. Thank you for giving us the opportunity to correct the issue with the water dispenser during your stay. We provide 24/7 guest assistance, as well as on-site maintenance and housekeeping to ensure that any issues that may arise are handled quickly and completely. We want to make sure that each visit with us is stress-free. We look forward to seeing you again soon! We are happy to hear that you found your perfect cabin, Lori! It sounds like lots of wonderful memories were made during your visit. We hope that you will consider making Blackjack part of a new tradition while vacationing in Gatlinburg. Come back and see us soon! We are delighted to hear you enjoyed your visit! Spring is around the corner. It's a nice time to start thinking about a return trip to Gatlinburg. Please keep in mind, as a returning guest you will enjoy 10% off all future stays. "Beautiful log cabin in a fantastic location!" What a wonderful family vacation! 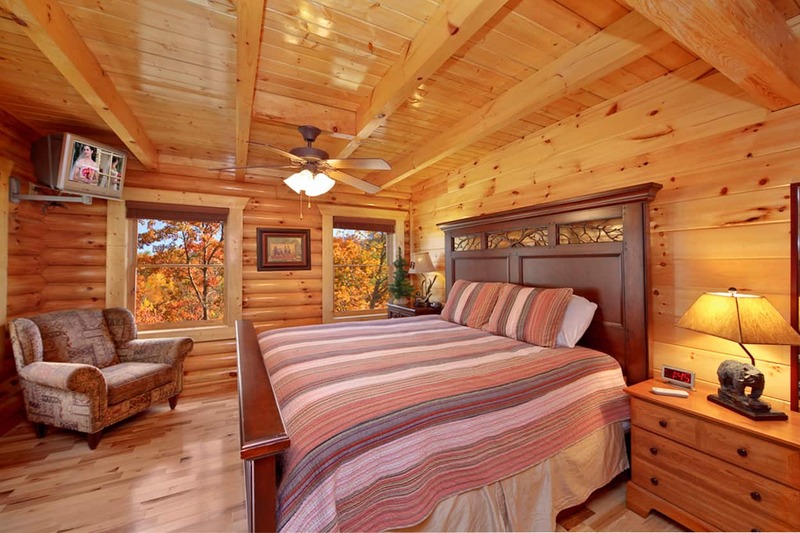 Elk Springs Resorts was just what we were hoping it would be; an amazingly beautiful log cabin with beautiful, quiet surroundings just minutes to downtown Gatlinburg …and Pigeon Forge. Our cabin was clean and comfortable. Our family was able to enjoy the movie theatre room with a Redbox located just down the road. Checking-in and out at Elk Springs Resort was so easy. This was our first visit to Gatlinburg and we will definitely be back again. Thank you for such a wonderful vacation. Thank you for your kind review, Nancy! Elk Springs Resort works diligently to provide you with a stress free booking process, as well as excellent customer service. We are happy to hear how pleased you were with your stay. It is our pleasure to provide our guests with that home-away-from-home experience so they can enjoy some down time with family. We look forward to having you be a return guest for many years to come! Good trip, great cabin. See you next year. Thank you for your feedback. We look forward to your return! Be sure to mention you are a repeat guest and take advantage of your 10% discount! The first time we visited, we stayed in Mountain Memory, and although the cabin was designed for fewer people, it seemed bigger than Blackjack. Moreover, the views from Mountain Memory were much bett…er than Blackjack. The kitchen was bigger in Blackjack, and for our purposes this visit, that worked for us. I was happy with the stay, wish it was a longer stay and a little less expensive. Thank you for your feedback Jason. 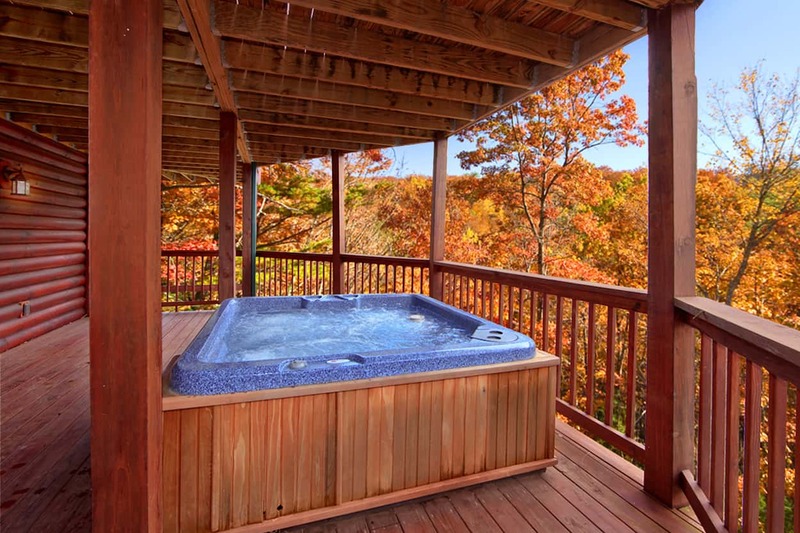 We have several luxury rental cabins in Gatlinburg, Pigeon Forge and Sevierville to choose from and will be more than happy to assist you in finding one to suit your needs for your next visit. We appreciate you being a repeat guest and look forward to doing business with you for many more years to come! Everything was exceptional. 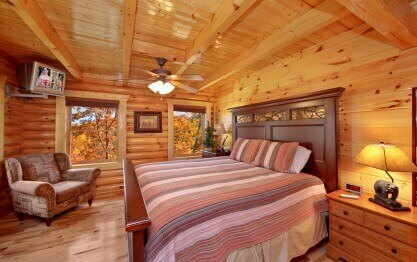 The cabin was impeccably clean, beautifully furnished and excellent view. We are delighted that you enjoyed your stay in Blackjack. We would consider it an honor if you join us again during your next trip to The Great Smoky Mountains. Please take advantage of your 10% repeat guest discount at the time of your next booking. My family and I spent Halloween at the Blackjack cabin. There was 8 of us and the place was perfect! We all had plenty of space. 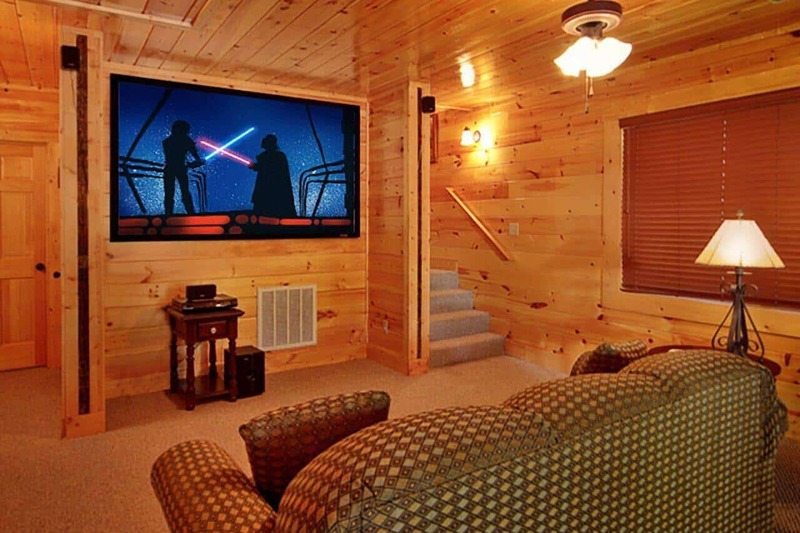 My only suggestion would be that, they provide some movies to watch on …the projector screen, otherwise you can't use it and it's just a wall decoration. It would really be nice if it were attached to cable. My father wanted to watch football and that would have been perfect! However, we had a great time. I would definitely stay again. Thank you for your feedback, Kimberly. We appreciate your comments and suggestions regarding the movie theater. We have left movies in the past for our guests to enjoy, but they would end up going home with guests. Due to potential electronic damages, we do not have our projectors hooked up to anything but DVD players. There is a red box rental just 5 minutes from the resort at the Food City grocery store where movies can be rented. We are pleased to hear that you enjoyed your stay and look forward to your return. Great locations very quiet but close to attractions. Also like the Craft area of town. Thank you for sharing your review with us Matt. The Arts & Crafts community located just 5 minutes away from this cabin is the perfect place to spend a day shopping. We are very pleased to hear that you enjoyed your cabin rental experience with Elk Springs Resort and hope you will return again some day. It was a nice cabin even though it was not the one we originally reserved. Our original reservation had more amenities than we received in the substituted cabin. 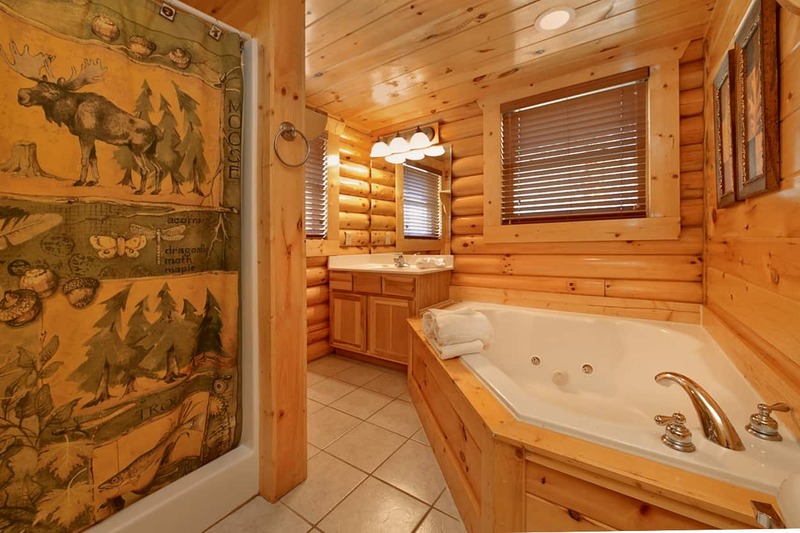 This cabin is nice and if it is your… original choice it would be a good one. The pictures and information that is provided on the website is accurate from what we saw in the substituted cabin. The management company did a great job. Thank you for your review Anna. We are sorry about the maintenance issue (water leak) that caused us to have to move you from your original cabin choice. While we have no control over this particular maintenance issue occurring, we did work quickly to provide you with a nice alternative cabin. We hope you will come back to stay with Elk Springs Resort again. We had initially rented a cabin in the smokey mountains. A couple of days prior to our departure, I called the management company to inquire about access to the cabin via RV and was immediately inform…ed that the cabin was not accessible by RV and promptly refunded our deposit. 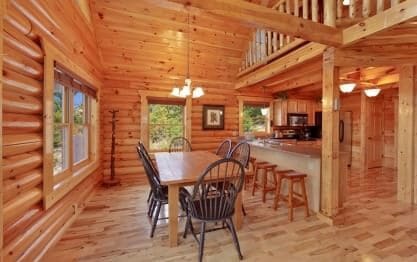 I quickly started another online search for suitable properties and found the "Blackjack" cabin in Elk Springs Resort ... A great find! The property description was completely accurate and was perfect for me, my two sons, my daughter-in-law and 5 grandchildren, ages 2-17. When we walked in, the older grandkids said, "Mimi, this place is off the chain"! They loved having their own space on the lower level ... and so did we! The property was clean and very well-maintained and we were provided exceptional customer service. The sound on the arcade machine was not working properly and after reporting it to the manager, someone was there within 30 minutes to resolve the issue. I would definitely recommend this property to a friend or relative. Thank you Bobbie! 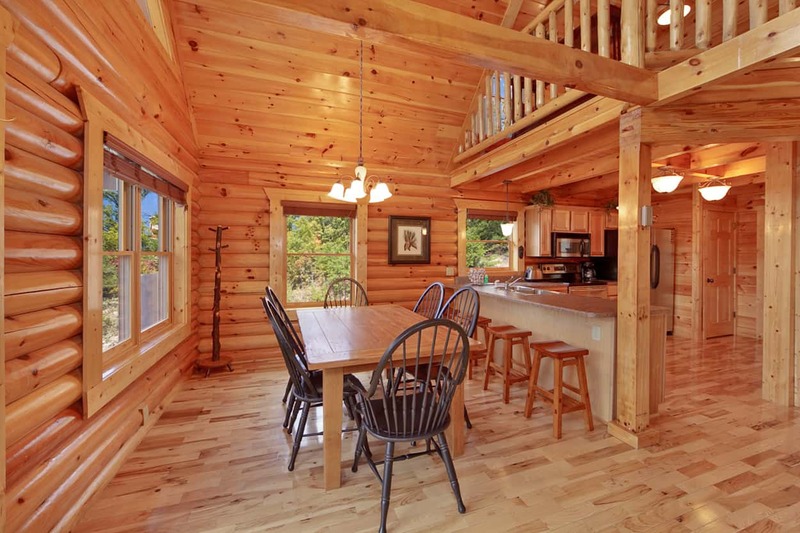 This cabin choice sounds like it was a perfect fit for you and your family! We are pleased that you found our customer service to be exceptional, the cabin very clean and that our maintenance staff was able to resolve your minor issue promptly. Don't hesitate to bring the whole family back for another fun-filled stay. We do offer a 10% discount to all repeat guests. We had a wonderful vacation at Blackjack! The kids loved the movie room and arcade. That kept them entertained, when we were relaxing at the cabin. The cabin was very clean, and we had a lot of room f…or all 8 of us. The air conditioning worked great, and we had no problem staying cool. We were only about 10 minutes from downtown Gatlinburg. Hope to come back! Thank you for sharing your wonderful experience with us Sara! 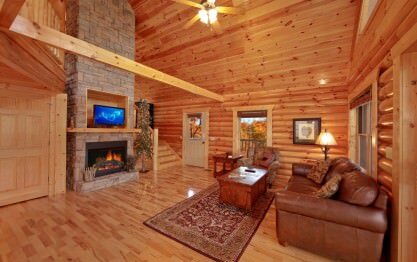 We are pleased that everyone enjoyed the cabin and all of the amenities it had to offer. We love repeat guests, so be sure to take advantage of your 10% discount off your next stay! quite and peaceful, but just minutes from great shopping an…d activities. Loved waking up and sitting on the deck overlooking the forest and having coffee in the mornings. We only had one minor problem during our stay at the cabin. When we went to cook, the outdoor grill would not work. We called Elks Springs and they came out that same morning, By early afternoon, they had installed a new grill with plenty of time for grilling. Awesome response time. Thank you for an outstanding time. We will definitively be coming back. Thank you for your review! Your testimony about the malfunctioning grill is proof that we go above and beyond for our guests. When booking your next cabin stay, be sure to let us know that you have stayed with us before. We give all of our repeat guests a 10% discount! "Exceptional Last Minute Elk Springs Visit"
We recently stayed at the Blackjack cabin at Elk Springs as a last minute stay in the Smoky Mountain area. The entire experience for our family of four was unbelievably exceptional! The cabin and su…rrounding area was clean, very spacious, and central to a lot of the area attractions. You don't get a true appreciation until you venture into Gatlinburg a drive along the strip seeing thousands of people crammed into small hotels/motels. 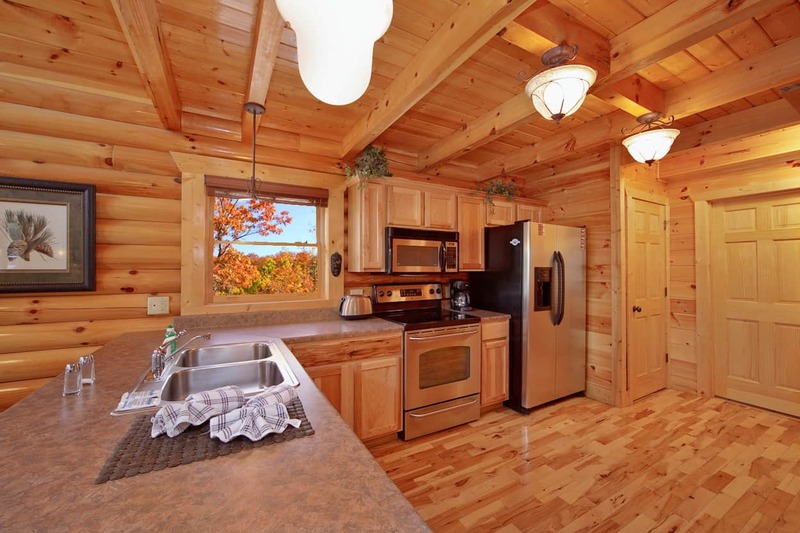 The cabin is the size a house and includes all the amenities you could want. The kids really enjoyed the pool table and upright video game console. Also each cabin on the property was completely different from the others. Without question, Elk Springs is our "go to" place when visiting the Smoky Mountains! Everything from the reservation to the virtual check-in to the departure was flawless! As always, we enjoy hearing about happy family experiences with our cabin rental company. We certainly agree, Blackjack is full of top-notch amenities for the entire family to enjoy. We are delighted that you will be joining us again. Please don't forget to mention that you are a returning guest so you can enjoy 10% off all new bookings. Hurry back, new memories are waiting to be made! 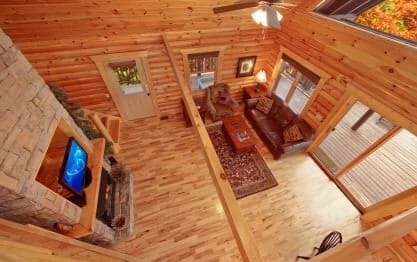 Love the cabin. Great spot. Nice and quiet. I have been there last year with my family and friends. It was a amazing! This year I stayed in pepper black, it's still great! Evert hing is perfect again! Elk Springs cabins, roads, and grounds have always been awesome. We had a fantastic stay. Wonderful days in the smoky mountains and return to the cabin for a relaxing night hanging out with family. Delivers what it promises, a warm comfortable stay, nestled among the woods. Very responsive management company, were there at the cabin within five minutes of me reporting a glitch with the home theater system, and were very cooperative too. 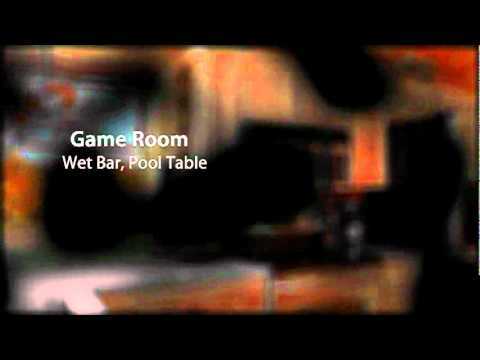 "Elk Springs Blackjack Cabin Review "
We thoroughly enjoyed our stay at the Blackjack Cabin. The rooms were spacious and clean. We went there to hang out and relax, and that's just what we did! The furniture was comfortable and the equi…pment was all in perfect working order. Even though it rained while we were there, we had plenty to keep us occupied. Thank you so much for such an enjoyable stay. Our only complaint was that our time there was too brief. We came in with a group of 10 at the black jack .. and everything was just as described and better... everything was ready to use and spotless.. not one complaint... a really sweet getaway. "Best trip of my life"
Such a beautiful cabin!! The staff was great when I had trouble getting into my door. They had pantience and were super helpful. I will definitely be returning. The cabin was very clean and functional, it had everything we needed to enterain our 4 children and plenty of room for sleeping! Our children wanted to move in permanently! great time!!! This cabin was perfect ! "The experience of a lifetime,"
Everything was super clean and was as nice as the pictures showed. The customer service was A++ too. I would definitely recommend it to anyone. I'm already making plans to return. Elk Springs put the "great" in The Great Smoky Mountains. We loved our cabin. This was our first time using Elk Springs Resort and we will be using them again and hopefully make it a yearly experience. 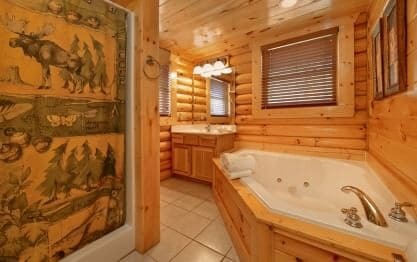 The pictures of the cabin were very accurate. The cabin… was very clean. Check in/out was so easy. Our family had a great time!! Quick access to downtown Gatlinburg but also private! Loved our stay. We can't wait to book our next stay!! Great cabin in a perfect location. Only thing missing were dish towels and pot holders. "Great Stay For A Large Group"
Recently, we stayed at Blackjack for a girls weekend with 8 total people. Blackjack was perfect, giving plenty of bed and bathroom space. Plus, the main floor had tons of seating options for meals and… board games. The upstairs bedroom was perfect for the older folks to get away and the bottom floor had it all: games, huge TV screen, a bar area, hot tub and seating. The downstairs does get pretty chilly in the winter, so bring socks to sleep in! I would highly recommend this cabin to anyone looking. I bought a Groupon so I was slightly worried about what the place would actually look/be like. I was extremely impressed! We had a different cabin originally but the water wasn't working so they moved… us to Blackjack! We will be staying there again for sure!